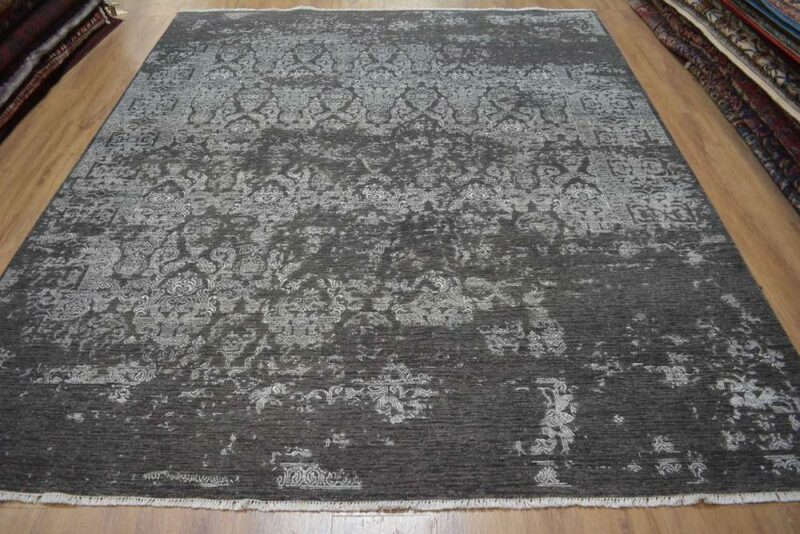 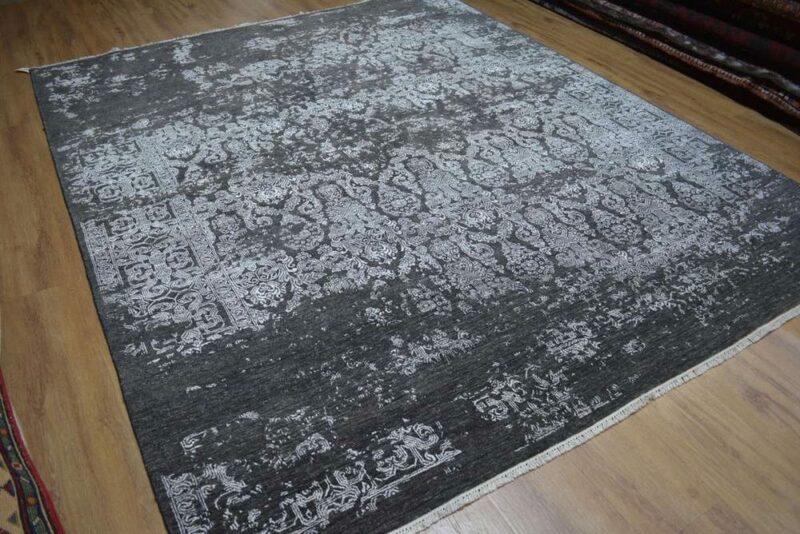 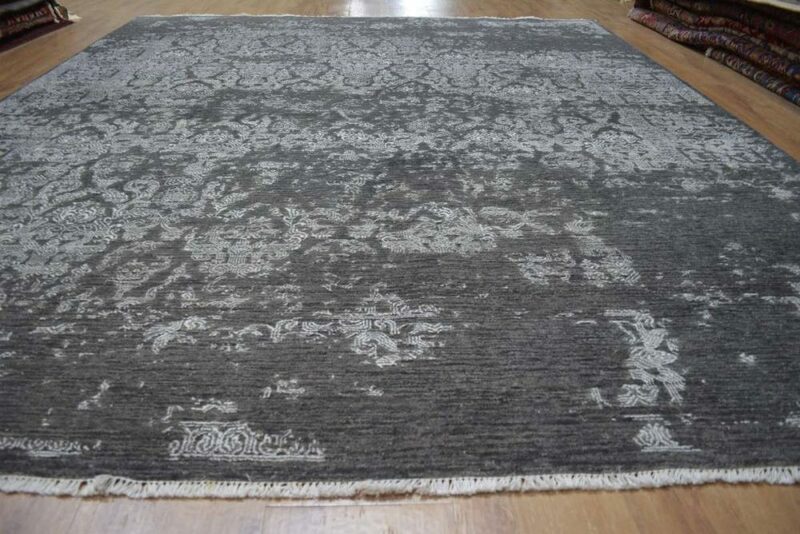 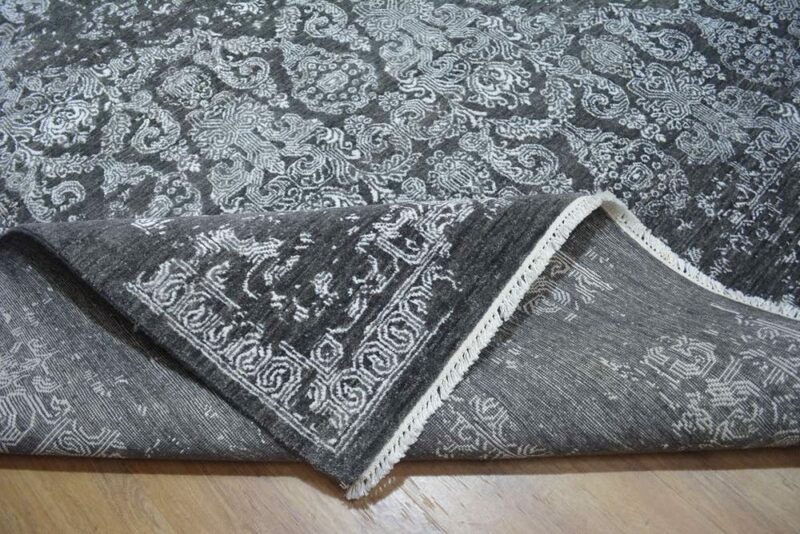 This beautifully hand knotted contemporary design rug is woven with a charcoal base and silvery silk highlights. 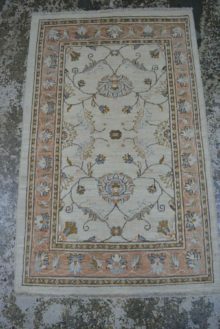 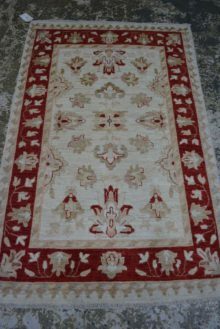 This is the perfect piece for those wanting a transitional rug with both modern and traditional elements in the design. 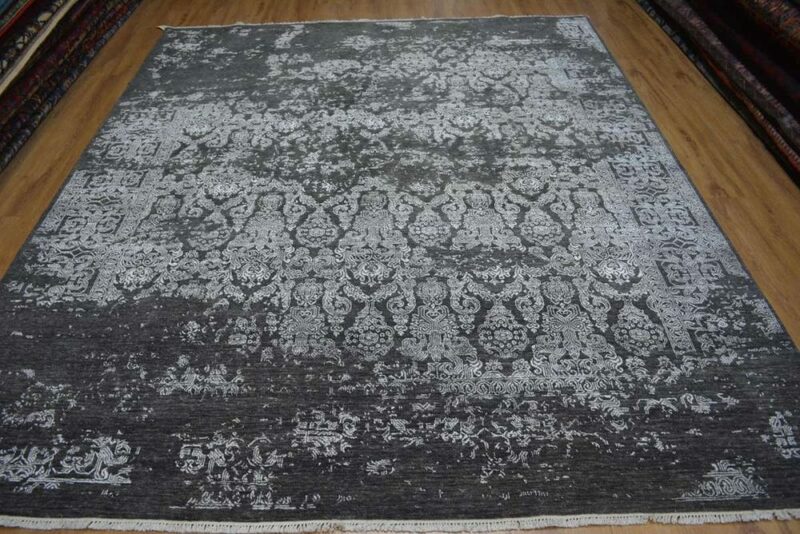 SKU: WE6. 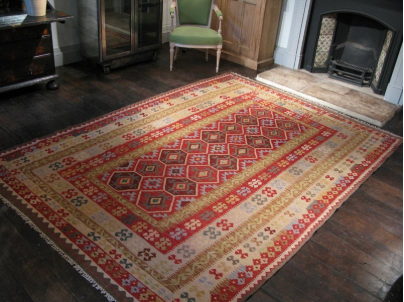 Categories: Contemporary, Transitional.